 Starting a business often comes from wanting to set your own rules and listen to your body, and yourself – when you work, how you work, what you wear, what you eat… but to a certain extent you have to create structure in order to have the freedom. It has to be your choice though. It feels so much more empowering to know that you’ve got a choice rather than feeling like you have to do things a certain way.  Set strict boundaries around your working hours with regards to other people. Don’t allow your clients to contact you any time of day and night because that’s when things get crazy. And remember it’s all about the push and pull. If you work really late one day, you can have that morning time back later. We’ve got to make these businesses of ours sustainable!  People fall into two camps, do-ers and be-ers. With do-ers, it’s in their blood, they can’t help doing and they will do and do and do until they stop. We have to really encourage them to take a break and to look after themselves. And then you have be-ers who are really good at being in the moment, being present, feeling what’s going on and not necessarily as good at taking action without some kind of discipline involved in that. Finding out where you are on that spectrum and then learning how to pay attention to your body and turning that into a habit is really important.  It’s really important to pay attention to whether we’re working smart or whether we’re just working. 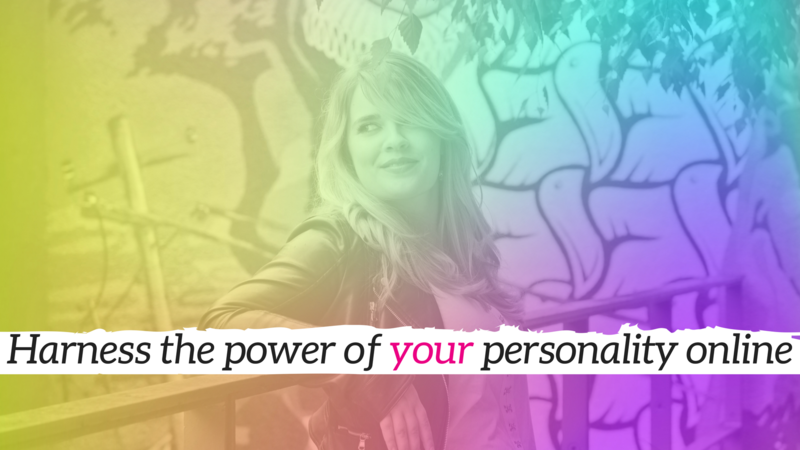  If you truly want to channel your personality online, you need to listen to the you-isms. Take note of things you say to friends, family, your journal. Pay attention to those language choices and then turn up the volume. Ebonie is the go-to Coach for Misfits and Mavens. She’s the creator of The Misfit to Maven Way and The Value Filter™ system. Author of ‘Misfit to Maven: From ARGH to AHHH.’ and host of the podcast ‘Adulting, with Ebonie.’ She helps people like you who are overwhelmed, have no time, and have forgotten who they really are to get CLARITY, CONFIDENCE, COURAGE and CALM so that you can be bolder, freer and happier NOW and really enjoy living your best life!